As expected of any Irish pub, the folk are friendly; the wait staff is knowledgeable about their in-house beers and home-cooked Irish dishes; the atmosphere is warm and inviting. Settle in at the bar or cozy up on the couch with nearby fireplace for a featured European soccer or rugby match. 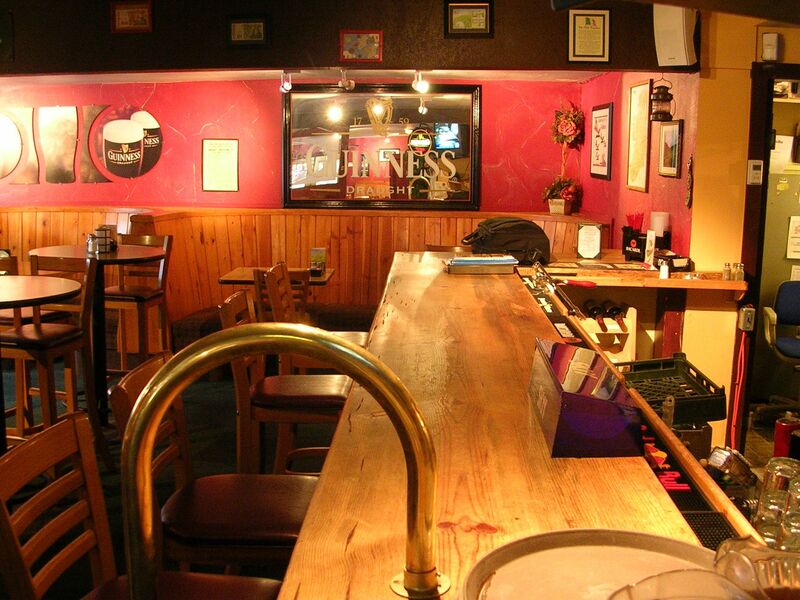 Benefit from the pub’s wireless internet, billiards, darts, jukebox, evenings of live music, and second bar in heated, closed-in patio. 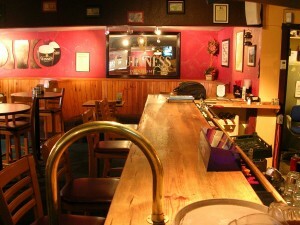 – Free pool from 6 p.m.
Open Mic Night with Doug Schwartz of Deep Fryed Mojo at 9 p.m.
Celtic Music Jam Session with Shaun Cummings at 7:30 p.m.
Singer/Guitarists Mark and Grace Wilson at 7 p.m.